Muay Thai is a skill you must practice if you wish to get good at it. In this sense finding the best training camp that you can is one of the best investments of your time and effort, and it will pay big dividends in the long run. 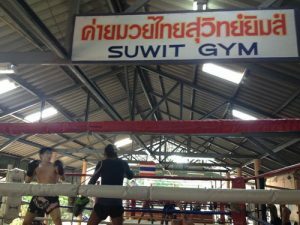 One of the most important things that you need to take care of when training Muay Thai is to work out under the guidance of a qualified, top level instructor. You’d be surprised to know just how important it is to be guided properly. There are so many different details that you won’t be able to pay attention to – but your instructor will. You might think that a jab Is a jab, and a cross is a cross, but this is far from the case, especially for the beginner. 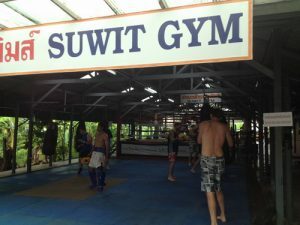 You will have to take proper care in order to improve your striking form the best way you can so that you will be able to progress in your Muay Thai skill. Next off, you will want to train frequently. That’s right, many people think that they can improve if you train once a week. This is not the case, especially when it comes to Muay Thai. You will have to invest a lot more time and effort than that if you wish to improve your skill consistently. Of course, once a week is the bare minimum just so you will be able to learn at least something from your training sessions. But typically, the more you can train, the better – with a small caveat – not to overdo this principle and get overtrained. This is another subject altogether, and we’ll cover it in another article – it’s best to be aware of it for now. 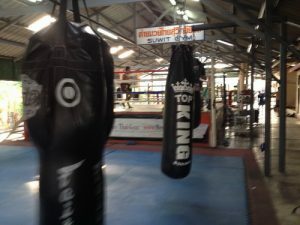 And the most important thing that you could do in order to improve your Muay Thai skill is to believe in yourself. Trust us, you will get into some hurdles along the way. Perhaps improvement will stagnate no matter how hard you train. You will be able to go through these hurdles if you’re persistent and smart, and especially if you believe in yourself. 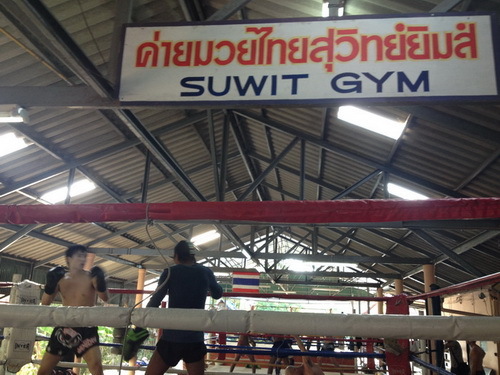 So go and train some Muay Thai right now! If you feel the cramp, try massaging it with the tennis ball or a golf ball. Some people even try Foam rollers. To get more knowledge supplement on this, take the help of your fitness expert. Using tapes, you can give the best support to your calf muscles. You can make this one a daily affair with a Kinesio tape as it helps a lot. Most professionals in Thailand follow this trend. To make a quick way out, you can consider your daily diet to have magnesium and potassium as supplements. But, it’s primary to understand that a thin line of difference lies between them; the former one goes in and out of our body, but the latter one gets accumulate inside our body as fat. As they teach in every kind of martial art, one of the easiest ways is to keep your muscles warm till they get completely recovered from the cramp. Try to use the warming ointments. However, keep in mind that that ointment must be specific for muscles only, not for any joints. This section contains generic advice. We all know that since the very beginning, stretching and strengthening the muscles through some exercises have been useful. Also, one can do easy level stretches to further loosen the tight muscles.